← How Can In-Home Care Services Improve Your Quality of Life? Growing older poses different challenges for all of us. But one thing is for sure, our health will always be an important factor as we age. Since aging is a natural process, we cannot stop it. However, we can still do plentiful healthy-giving methods that can slow down the aging process. For some, their health is dictated by genetics and hereditary health conditions while others, their health is the result of their actions and lifestyle. Although Alzheimer’s is common in older adults, early treatment can also decelerate the progression of this mental degeneration. Dementia is the general term for symptoms that are related to the decline of mental functions, and since Alzheimer’s is a type of Dementia, it typically strikes individuals who are over 60 years of age. It is not necessarily hereditary and not normally part of growing old. 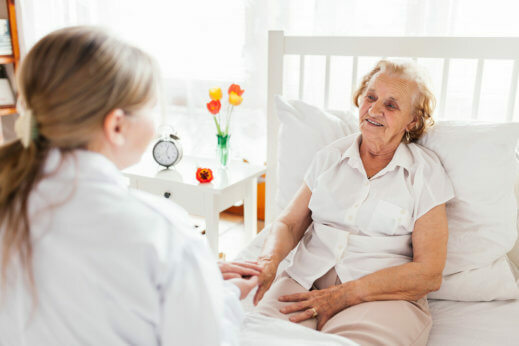 Seniors who have Alzheimer’s require special care and attention, which their families can learn to provide or for further assistance, they can seek the help of providers of health care services in Anaheim Hills, California who are capable of Alzheimer’s care. Alzheimer’s is a condition that worsens over time and as the illness advances, your senior loved ones may find it hard to perform daily tasks on their own. Starting a conversation and remembering things they wanted to do can be confusing at times. Extend your patience and understand that they too are struggling to get by on their own. Your support and understanding can give them safety from overwhelming situations. Information retention can be challenging for individuals with Alzheimer’s. Relay your message as simple as possible so they can get your message on the first try. If on the first attempt they do not get your instructions, try again and continue to use a calm tone of voice, avoid shouting or raising your voice since it will only cause anxiety and confusion. If your message still does not come through on the third try, take a break and give it a go a little later. Pressuring them will only agitate their confusion. As much as possible, create a safe environment where they can be shielded from distractions and overwhelming noises. A safe environment also means giving them a functional home that has breakables and dangerous objects kept from plain sight. Individuals with Alzheimer’s may attempt to do their regular routine like going to work or going outside for a walk, to keep them safe, provide locks on doors and always have someone to look after them or have In-Home Care Services who can attend to their needs and safety. You can get home care plans for your senior loved one diagnosed with Alzheimer’s or any type of Dementia at Infinite Care Solutions, Inc. Call or send us your inquiries at info@infinitecaresolutions.com to start your in-home care services. This entry was posted in Health Care Services and tagged Alzheimer's Disease, Alzheimer’s Care, Mental Degeneration, Tips for Alzheimer’s Care. Bookmark the permalink.